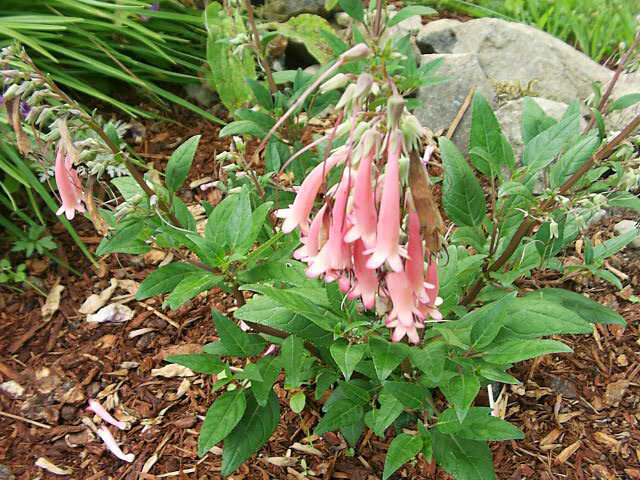 The common name of a Phygelius, Cape Fuchsia is misleading. 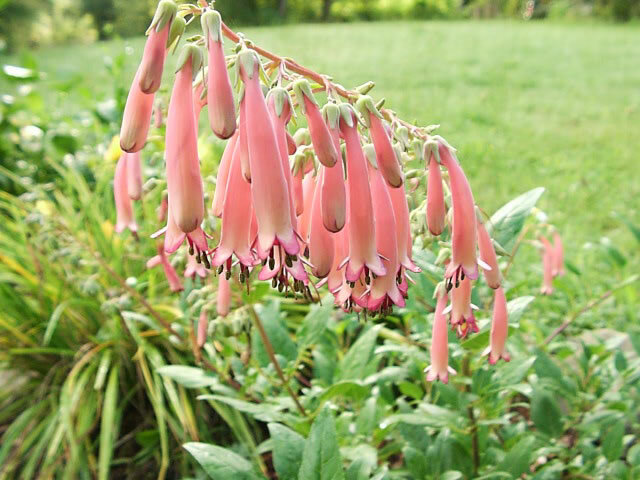 Other than the fact that the flower shape resembles that of a hardy Fuchsia, Phygelius are completely unrelated to Fuchsias. They are actually relatives of Foxgloves and Penstemons. Cape Fuchsias are shrubby, evergreen perennials that are hardy in USDA Zones 7-9. In colder regions, they are grown as an annual. Phygelius grow 3-5 feet high and wide. They prefer a rich, well draining soil with regular watering. Remove the spent flowers to ensure continuous summer blooming. In early Spring, cut the plant back to about half it's size to encourage new stems and a fuller plant. fed monthly with a good all-purpose fertilizer. Cape Fuchsias are easily grown from seeds collected the previous year. When the seed pods ripen, shake the seeds into a paper bag and allow them to dry completely. Store them in a cool dry place. 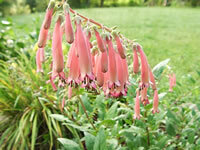 Phygelius seeds can be started indoors at 70 degrees or you can sow them directly into the garden in early Spring. Cape Fuchsias can also be quickly rooted with short stem tip cuttings taken in midsummer, or by simply removing and transplanting the offset suckers from the parent plant.